Few breeds love the water more than the Portuguese Water Dog. These athletic, adventurous dogs are jacks-of-all-trades when it comes to water work, with a long heritage of being fishermen’s helpers. The Portuguese Water Dog (PWD) or Portie makes for an excellent family pet as well. Porties are affectionate and loyal, with an outgoing nature that you’ll love. Let me answer the top questions you might have about this hardworking breed. 1. What is a Portuguese Water Dog? 2. What does a Portuguese Water Dog look like? 3. What is the temperament of a Portuguese Water Dog? Does the Portuguese Water Dog bark a lot? 4. How much exercise does a Portuguese Water Dog need? 5. How do I train a Portuguese Water Dog? What are potential issues with the Portie’s behavior? 6. How do I groom a Portuguese Water Dog? 7. Is a Portuguese Water Dog hypoallergenic? 8. What are the eating habits of a PWD? 9. Are there any health concerns with the PWD? 10. 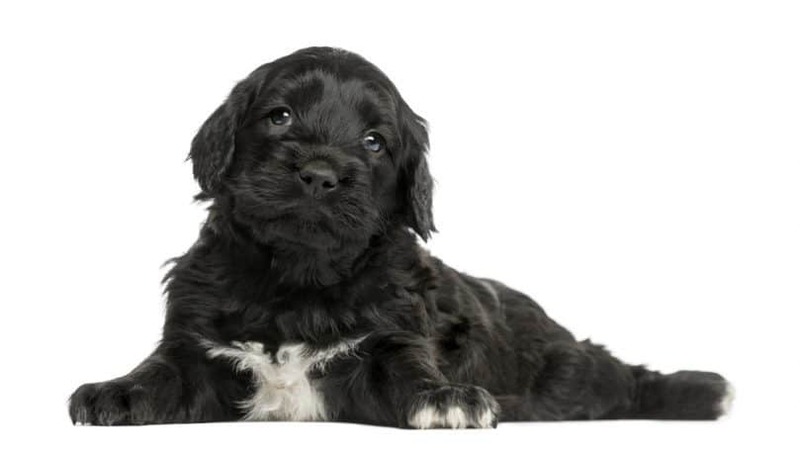 How much are Portuguese Water Dog puppies? Is the Portuguese Water Dog right for me? The Portuguese Water Dog is a working dog that’s well-known for its swimming capabilities. PWDs have bodies that seem to be built for moving in the water, with coats are thick and waterproof and tails that can be used as rudders. Porties are also known for their biddability and obedience. These dogs’ physical features and innate intelligence made them indispensable to Portuguese fishermen and sailors. Known in Portugal as the cão de água (literally ‘dog of water’), Porties were bred to be all-around helpers to fishermen. The dogs lived on the working boats, diving underwater to herd fish into nets and retrieving broken or lost fishing gear when needed. The breed also carried messages from ship to shore and vice versa. PWDs worked round the clock with fishermen. 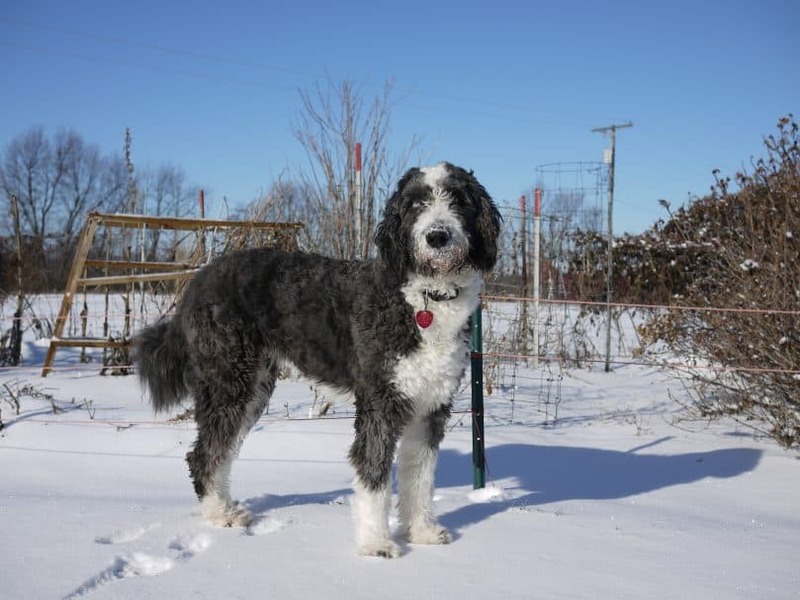 Because of the physically demanding nature of their job, Portuguese Water Dogs developed a well-built, robust body of strong muscles, particularly in their hindquarters. In the 1930s, technological advancements in fishing nearly caused the extinction of Portuguese Water Dogs. Fortunately, a businessman named Vasco Bensaude acquired a Portie and bred it to many females. Bensaude’s Portie, named Leão, mated with so many female dogs that half of the world’s pedigreed PWDs trace their lineage back to him. Thanks to Bensaude’s revival of the breed, there are more than 10,000 Portuguese Water Dogs registered around the world today. The Portie has a medium-sized, muscular body that is covered by a coat of wavy or curly hair. A full-grown Portuguese Water Dog can reach 17 to 23 inches (43 to 58 cm) in height and weigh between 35 to 60 pounds (15 to 27 kg). The Portie has a body made for swimming. Its thick, waterproof coat protects its organs in cold temperatures. A strong tail and webbed paws help the Portuguese Water Dog propel its body in the water. Unlike other water dogs (the Newfoundland, for instance), the PWD has a single-layered coat. This coat is covered in hair that falls in tight curls or gentle waves and may come in black, white, brown, or black or brown with white. With hair that’s wavy or curly, many Portuguese Water Dogs today are groomed in a retriever clip or a lion clip. In a retriever clip, the Portuguese Water Dog’s coat is left at one-inch length all over its body except at the tail, which is left fully covered. As we said before, the lion clip leaves the Portuguese Water Dog shaved to the skin on the muzzle and hindquarters. The Portuguese Water Dog is known for its obedience and ability to focus, qualities that were honed during its days of working with fishermen. It also has a calm disposition and a tendency to be independent. Despite its independence, Porties were bred to be companion dogs. They tend to bond closely with one member of the family and prefer to stay close to their owners. Loyal and affectionate, Portuguese Water Dogs enjoy being petted and love one-on-one playtime. Porties make for excellent family dogs because they get along well with children and other pets, especially if raised with them. And although the Portuguese Water Dog is kid-friendly, it can be rambunctious, making it more suitable for older kids. With their history of living on boats, Portuguese Water Dogs adapt to most living situations. With enough exercise and bonding time with you, a Portie will be happy in an apartment. Porties are usually quiet around the house, only barking when perceived threats approach the home or its pack. PWDs have a multi-octave voice, so their loud, distinct barks won’t fail to catch your attention. The Portuguese Water Dog likes ‘talking,’ too, or using its voice to communicate its desires to its owner. For instance, a Portie may pant loudly to ask for food or to invite you to play. The PWD is gentle and patient, but it’s not a couch potato. With its high energy levels, the Portuguese Water Dog needs 30 minutes to 1 hour of vigorous exercise daily. Aside from swimming, the Portie enjoys people-based activities the most and will love going on hikes, jogs, and boating trips with you. PWDs also excel in canine sports, which help the breed get the physical and mental stimulation it needs. 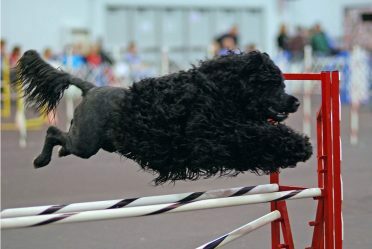 Portuguese Water Dogs usually participate in obedience and agility and water-related activities like dock diving. Porties are athletic, active dogs that won’t hesitate to jump up at you as a greeting or hop on their hind legs when excited. Some PWDs even like to ‘counter surf’ or stand upright at counters or tables where it smells food. Portuguese Water Dogs may also work off their abundance of energy through what breeders refer to as ‘zoomies,’ going from standstill to a full sprint around the room. 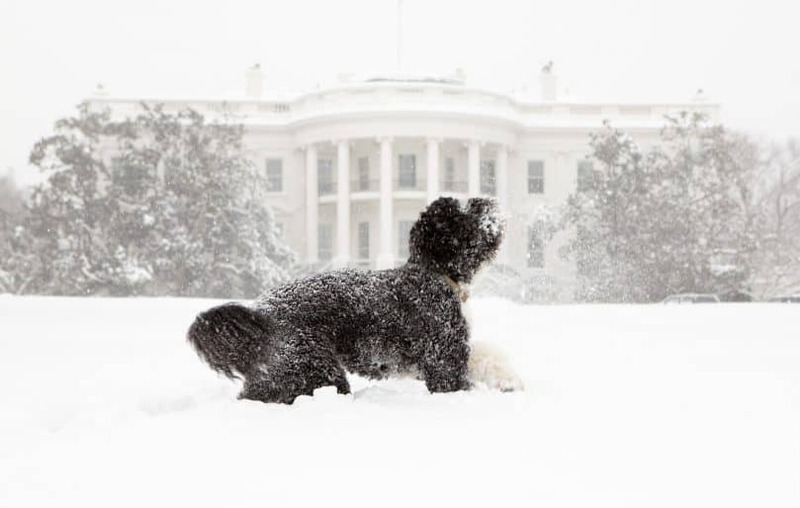 If you want a laid-back pet for your family, think twice before getting a Portuguese Water Dog. Like most active dog breeds, the Portie can become destructive if it doesn’t get enough exercise. 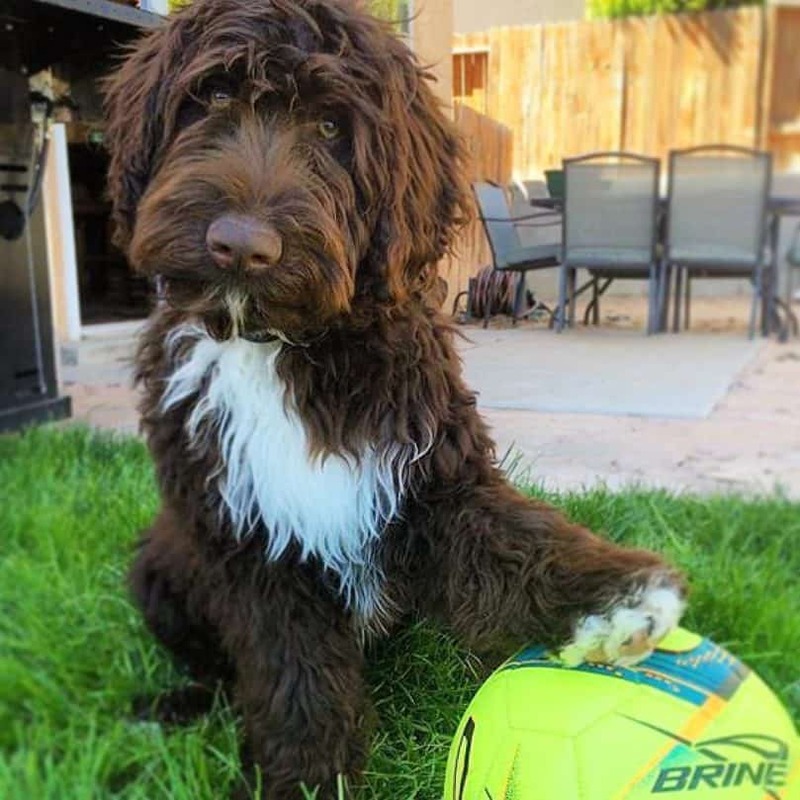 Portuguese Water Dogs are easy to train and eager to please, so you won’t have trouble teaching your Portie to follow simple and complex commands. Most PWDs are quick learners, and they enjoy mastering new skills, capable of obedience even as puppies. Since Porties bond closely to their owners, your dog will be sensitive to your tone of voice. Use positive reinforcement when training your Portie and give him treats or praise when he shows good behavior. Make sure to remain firm and consistent when training your PWD, so he knows to respect your authority as the pack leader. Portuguese Water Dogs are a working breed, so they’re happiest when they’re doing a job. Keep your Portie mentally stimulated by giving it simple chores around the house. Its trainability, combined with its non-shedding coat, makes a Portie the ideal service dog. Many Portuguese Water Dogs serve as therapy dogs and assistance dogs, helping with mobility and seizure response. They’re particularly useful as deaf-assistance dogs, thanks to their ability to seek out and alert their masters when specific alarms occur. One problem you may encounter with your Portuguese Water Dog is mouthing. Most PWDs have strong retrieving instincts, which the dogs express through tugging and chewing. A Portuguese Water Dog will try to rescue a person who may only be swimming. It’s also important that you control play-biting behavior in your Portie. Give your PWD plenty of chew toys so that he learns which objects are appropriate to chew. The Portuguese Water Dog needs frequent grooming to keep its coat clean and shiny. Whether it has curls or waves, brush your Portie two to three times a week to prevent tangles from forming in its coat. You can lightly spray the hair with water to prevent breakage. Since the Portie doesn’t shed, its coat will continue growing unless you clip it. Clip your Portuguese Water Dog’s coat at least every month to keep it looking neat and at a manageable length. You may want to invest in a good pair of dog clippers so you can maintain your Portie’s coat yourself. Start grooming your PWD while it’s still a puppy so it can get used to the sound and feel of clippers in its fur. You can choose from two grooming styles for your Portuguese Water Dog. To give your Portuguese Water Dog a retriever clip, go over its body with clippers until only an inch of the coat is left. You can also groom your Portuguese Water Dog into a lion clip, where its hindquarters and muzzle are shaved down to the skin. For both styles, the hair remains full-length on the last third to quarter of the tail. Bathe your Portuguese Water Dog every 2 to 3 weeks. Make sure to pay special attention to the PWD’s ears, which are oily and are ideal breeding grounds for bacteria. Don’t forget to rinse and dry your Portie thoroughly to minimize the risk of skin infections. Give your PWD a rinse in the tub after each swim. A thorough rinse removes salt, chemicals, and debris that may harm its coat and skin. As I’ve said before, the Portuguese Water Dog does not shed fur or hair. This non-shedding quality is why Porties are widely considered to be hypoallergenic. This dog is the ideal pet for your family if a family member suffers from allergies to dander. Feed your Portuguese Water Dog a diet of 2.5 to 3.5 cups of high-quality dog food daily. Divide the food into 2 meals to prevent any digestive problems. With its history of eating fresh fish and seafood on boats, the Portie tends to thrive on a diet with fish as its primary protein source. Many Portuguese Water Dog breeders add tuna, sardines, and mackerel to the dogs’ diet to ensure that they get sufficient protein and to maintain coat health. Portuguese Water Dogs have a lifespan of 11 to 13 years, but this may be affected by various genetic diseases. Your Portie may be prone to hip dysplasia, cataracts, and progressive retinal atrophy. Because of its genes, the PWD is also prone to a fatal, currently untreatable condition called juvenile dilated cardiomyopathy (JDCM). A Portuguese Water Dog with JDCM can collapse and die with no physical signs or symptoms of the condition. Aside from genetic conditions, ear infections are common in Portuguese Water Dogs, like in many drop-eared breeds. Want to have your PWD spayed or neutered? You’ll want to wait till the Portuguese Water Dog is fully mature, at about 16 months of age. Porties tend to mature more slowly than their peers. Though Porties are no longer in danger of extinction, the breed is still considered fairly rare today. Prepare to pay an average cost of $2500 if you want a Portuguese Water Dog puppy. Expensive health tests that sires and dams go through and breeding expenses are factors in how much Portuguese Water Dogs cost. Make sure you get the healthiest PWD puppies by trusting only reputable breeders. Portuguese Water Dog rescue organizations, like Rescue Me! 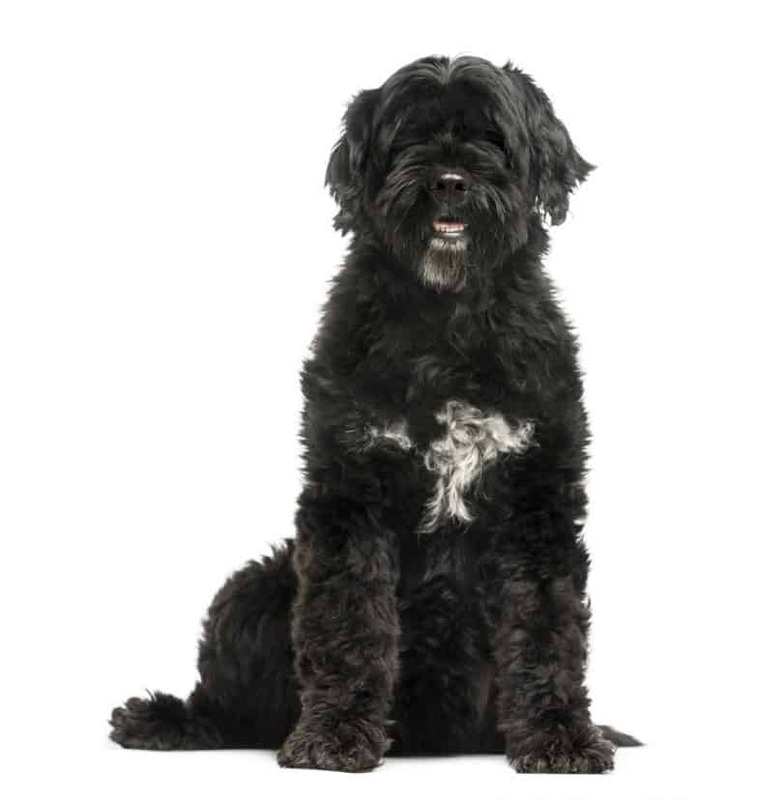 Portuguese Water Dog Rescue, are a good option if you want to adopt an adult Portie. Due to its intelligence and popularity as a companion dog, the Portie has been crossed with many other breeds. 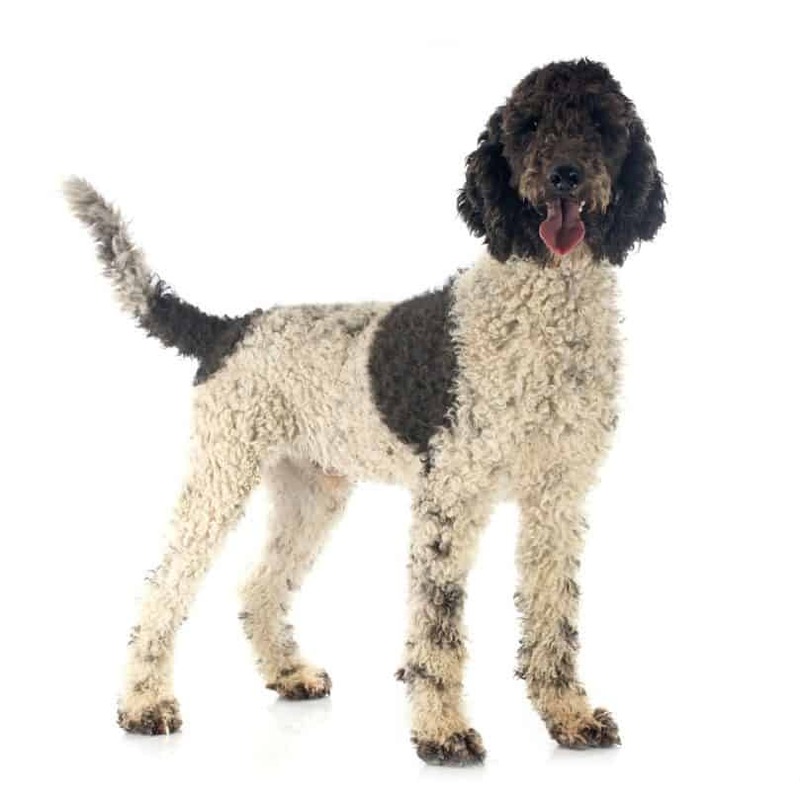 Commonly called a Portidoodle, the Portuguese Water Dog and Poodle mix inherits the low-shedding qualities and friendly, social nature of its parent breeds. Thanks to hybrid vigor, Portidoodles may also be less prone to health problems. Both breeds are family-friendly dogs, so you can expect the PWD and Golden Retriever crossbreed to be excellent with kids. However, the Golden Retriever is not a low-shedding dog, so the hybrid may not be considered hypoallergenic. Porties and Labradors are affectionate and willing to please, so expect the PWD-Labrador Mix to like cuddling up with you. 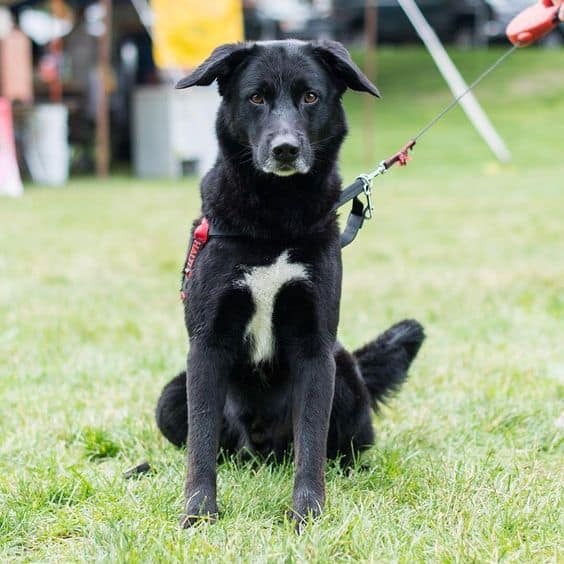 The Portie and Labrador Retriever Mix will also need plenty of exercise, given the high energy levels of its parent breeds. 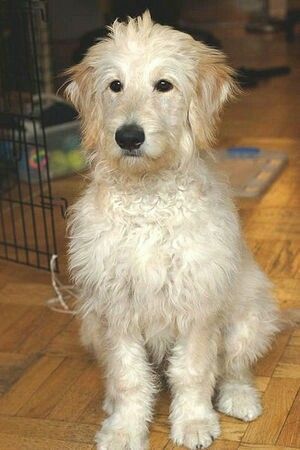 The hybrid of a Golden Retriever and a Poodle, the Goldendoodle is one of the best family dogs you can get today. 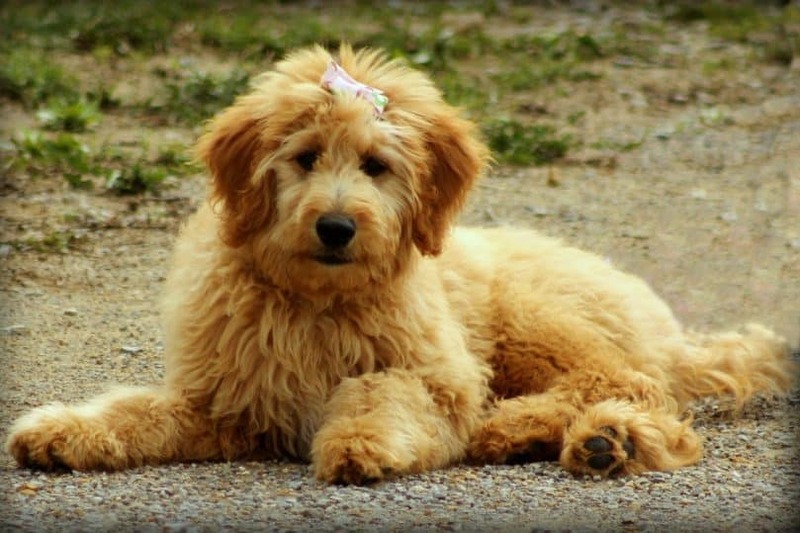 Like Porties, Goldendoodles are obedient dogs with an abundance of intelligence and energy. 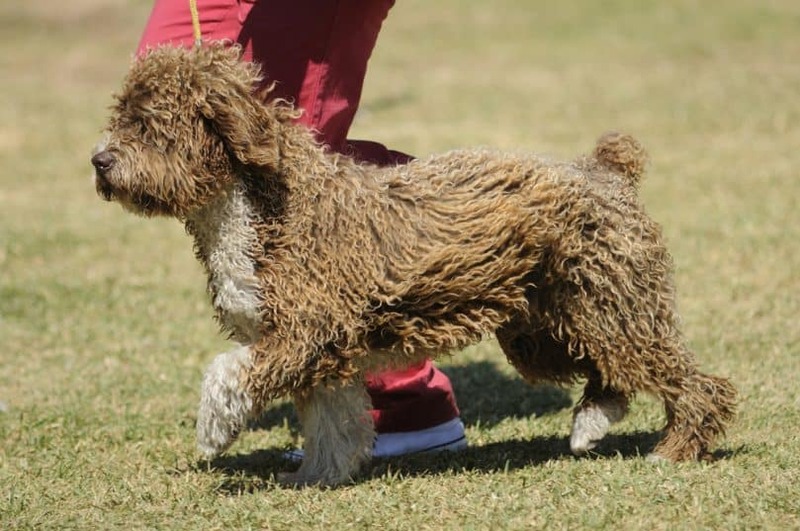 Though the Spanish Water Dog is more of a herder than a swimmer, Porties and SWDs are both physically active, loyal breeds who tend to bond closely with one family member. 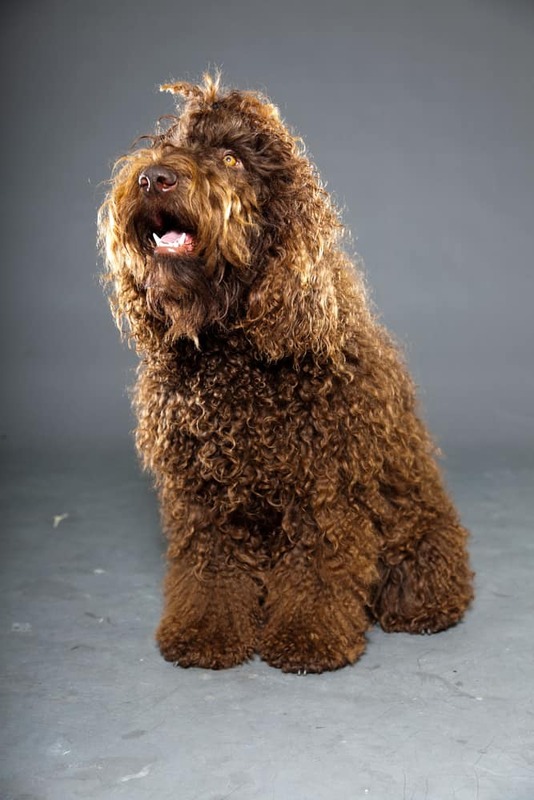 Developed in the 1830s, the Irish Water Spaniel is like an older brother to the Portuguese Water Dog. Aside from being smart and athletic like the PWD, the IWS is loyal to its family but suspicious of strangers. Aussiedoodles and Portuguese Water Dogs are loving dogs with low aggressive tendencies. Both breeds are known for their intelligence and hypoallergenic qualities, as well. 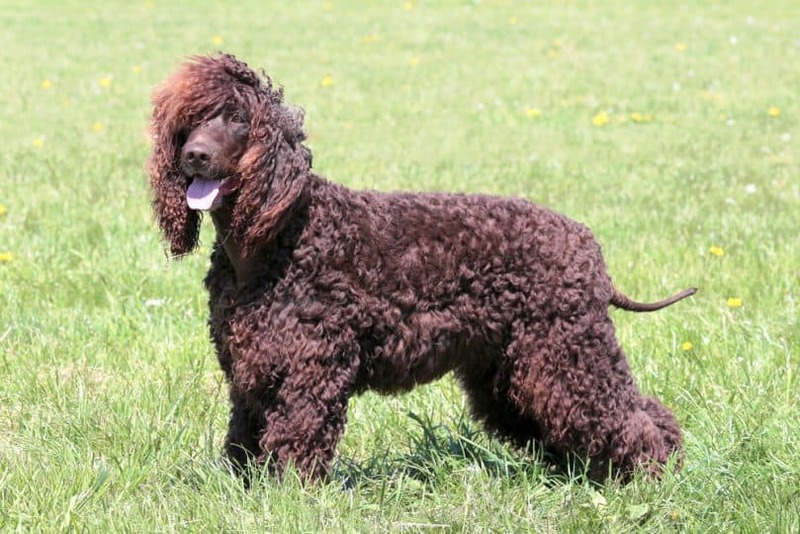 Still working towards full registration in the AKC, the Barbet is even rarer than the Portie. The friendly, obedient Barbet hails from France, where they can be certified in water retrieving and participate in various field trials. With its friendly, affectionate nature, the Portie is one of the best dogs you can get for your family. Portuguese Water Dogs enjoy learning new things, so training a PWD should be a breeze. However, a Portuguese Water Dog is not exactly a low-maintenance breed. A Portie needs at least an hour of vigorous exercise daily to help burn off its energy. Though low-shedding, its coat must be trimmed and brushed regularly. Tell us in the comments if you think the Portuguese Water Dog is worth it!